This model has appeared in two versions a standard version (42805) and a variation (42805A). 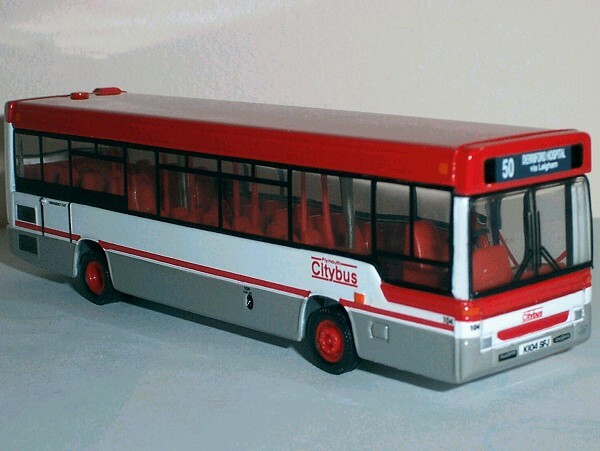 The model was shown in the OOC Catalogue July - December 1997 as fleet number 104. This model was never officially released by Corgi and has become known as the variation. It is believed that the real vehicle in question (fleet number 104) was involved in a fatal road traffic accident prior to the scheduled release of the model. The models details were therefore changed and it was released as fleet number 112. It appears apart from the fleet number and registration number all other details are the same. 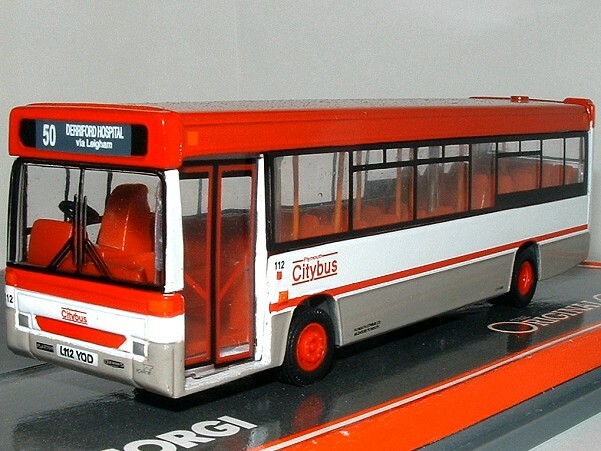 It also appears a very small number of the variation showing fleet number 104 have found their way onto the market. The pictures below show both models.